Everyone knows Axel von Fersen, the dashing young Swedish count devoted to Marie Antoinette (no, he was not her lover, but that’s a topic for another post). Less known are his two sisters, Hedvig Eleonora, an intellectual who served as lady-in-waiting to Queen Sophia Magdalena of Sweden, and Eva Sophie, lady-in-waiting to the future Queen Hedvig Elizabeth Charlotte. Born on March 30, 1757, the younger daughter of Count Axel von Fersen the Elder and his wife, Hedvig Catherina de la Gardie, almost became a member of the Swedish royal family. At 17, her beauty caught the eye of Prince Frederik Adolf, the King’s youngest brother. You’d think her family would be thrilled but Count Axel the Elder, a prominent parliamentary leader, often clashed with the Crown and didn’t want to be allied to it too closely. He feared the match would make him lose his political independence and so forbade it. He wasn’t the only one who disliked the idea. The King and Queen were against the match too. Sophie didn’t seem to be too crushed by this. She had the chance to elope with her prince but didn’t take it. She just wasn’t that much into him. She didn’t have to wait too long to find another suitor and, three years later, she married Count Adolf Ludwig Piper. But she wasn’t a faithful wife. 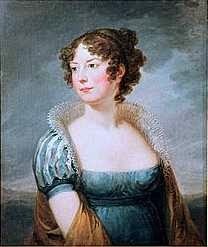 In 1790, she started a long term relationship with Baron Evert Wilhelm Taube af Odenkat, cousin of Hedvig Taube. This took place at around the same time her friend Princess Hedvig Elizabeth Charlotte had an affair with her younger brother Fabian von Fersen, and the two often talked about their love lives in their letters. The Princess called Sophie the only true friend she had ever had and even wrote a biography of her. The two women were also members of the Freemasons in Sweden. Sophie lived in tumultuous times, and witnessed many tragic events. On March 29, 1792, King Gustav III was shot at a masked ball, and the following year both Louis XVI and his wife Marie Antoinette lost their heads on the guillotine. It was a hard blow for Axel the Younger who, unlike his father, was a staunch royalist, deeply devoted to all the three monarchs, whom he had served faithfully for all of his life. It was in Sophie that he confided, pouring out to her his devastation, sorrow, and sense of failure for not having been able to save them. Worse was to come. King Gustav III was succeed by Gustav IV, but his reign didn’t last long. In 1809, he was deposed by his ambitious, but childless, uncle Charles III. As his heir, the Riksdag chose Carl August of Augustenburg, a Danish nobleman. His sudden death in May 1810 sparked rumours of murder. The Gustavian party, which included both Axel and Sophie, was accused of poisoning him. During the funeral procession, Axel was ruthlessly murdered by the mob. Sophie managed to escape to Stockholm in disguise. Later, an inquest proved that Carl had died of natural causes and the Fersen family was rehabilitated. Axel was allowed an honourable funeral. His sister erected a memorial to his memory. The moving inscription says: “To an unforgettable brother, whose courage in his last moments on the 20th of June 1810, bears testimony to his virtues and clean conscience”. During her time in Stockholm Sophie, who had been widowed in 1795, had received several proposals of marriage, but refused them all. She lived the rest of her life at Löfstad Slott near Norrköping. She died there on February 2, 1816.